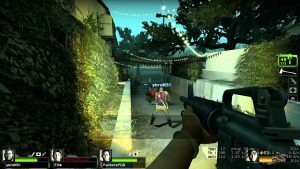 Want to know the best games to play with your significant other/friend/mum this Valentine’s Day? Our Web and Social Editor Jess has complied a list of her favourites (and reasons why they have made the list)! 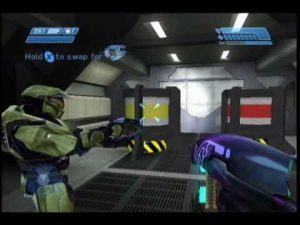 I had never played the original Halo, so one weekend, Alan cracked out the old original Xbox to let me experience the game how it should be played – complete with giant controller. His handicap was set a lot higher than mine (it would take him at least 5 or 6 shots to even kill me) but it made for some good couple gaming fun. 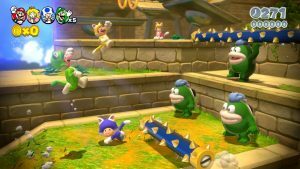 A recent purchase for the Wii U, we started playing through Super Mario 3D World. Most of the levels are really fun and pretty straightforward to coordinate as two player. Sometimes though, I found it easier (especially on the levels with disappearing platforms) to just die and stay in the bubble while Alan completed the disappearing platform bit. There were a few times when I died because someone jumped on my head over a pit, but it is safe to say that after playing this game our relationship is still throughly intact. World of Warcraft will always hold special place in my heart. 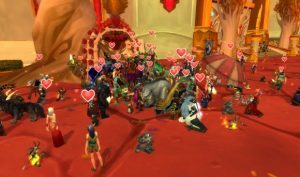 The ‘Love is in the air’ world event that runs from the 7th – 21st of Feb is based on the real world customs of Valentine’s Day (no seriously, that’s what Wow Head even says about it.) Players can show their appreciation for their friends and faction leaders by collecting Lovely Charm to create Lovely Charm Bracelet, which can be turned in daily for rewards. There are plenty of daily quests as well as special items to collect and redeem your love tokens. This is a co-op game that is on the list to complete, as the only trophies that Alan is yet to get are the multiplayer ones. I played this co-op years about when it first came out with my brother. 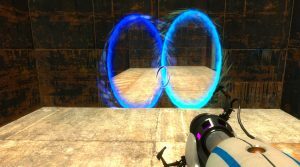 My only word of advice is that you need to really work as a team when you are placing portals – getting stuck in a loop happened more than once the last time I played this game with someone else, but I assure you that it is super fun! Shooting Zombies. Co-op. Do I really need to say more about this? You should just go and play it already. Have I missed any of your favourite co-op games? Let us know in the comments!